Well, that was annoying. Earlier today, iOS users — including myself — were getting plagued with the same CNN news alert over and over again. 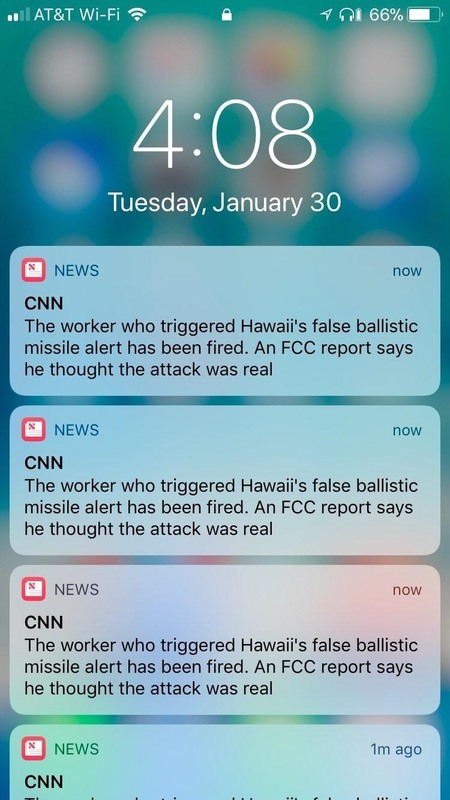 While the news itself is significant (the guy who sent that false missile alert in Hawaii was fired), people usually get the gist after just one alert, not dozens. CNN STOP SPAMMING MY PHONE!!! Am I the only person who can't turn this Hawaii story notification off??? @AppleSupport never mind. I deleted the apple news app. I got the same notification about the same news story every 30 seconds for 20 minutes and if you can't bother to fix this I'm out. I prefer my news without spam. Well, now we know how to make iPhone owners go crazy all at once. Send them hundreds of non-stop Apple News notifications. Lol. But whose fault was it? CNN or Apple? Help! I keep getting the same news notification every few seconds and it won't stop! I was experiencing the issue on both my iPad and iPhone, as well as my Apple Watch. 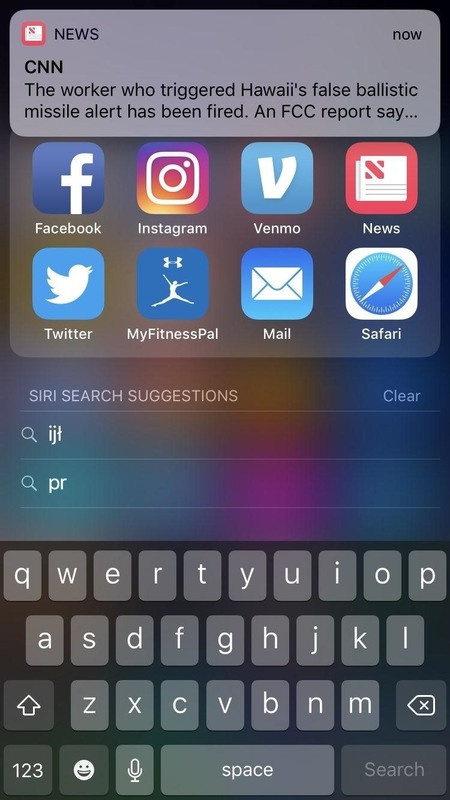 Three sources for a non-stop news notification? I wasn't too happy. The issue seems to have stopped for now, but if it starts up again, just disable notifications for News for a little bit until things go back to normal. Open the Settings, then tap "News" -> "Notifications," then disable "Allow Notifications." Once you've given it some time, re-enable it and hope that things are back to normal.